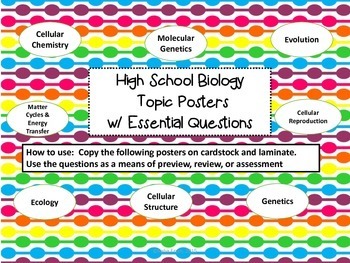 This product contains essential questions and concepts for the major topics taught in a typical first year high school biology class. 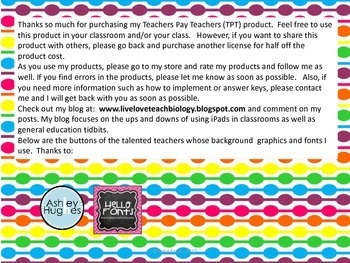 Each of the poster can be printed out and laminated to be used year after year. 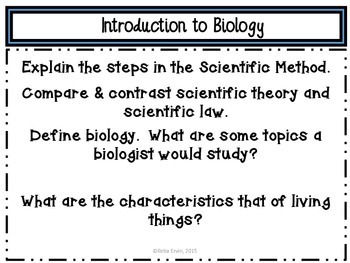 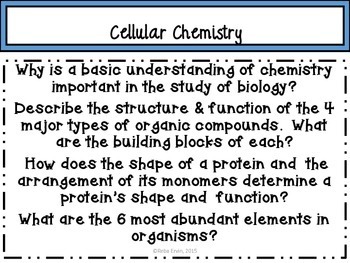 These questions can also be used to prepare for the End of Course Assessment in Biology.